Our monthly newsletter - the Steel Guitar Rag - offers association news and articles for steel guitarists. Bill Tauson is the editor. Here is a sample newsletter, from March 2015. 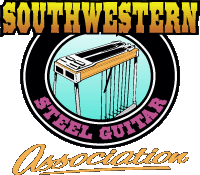 You can receive the Steel Guitar Rag by joining the SWSGA.